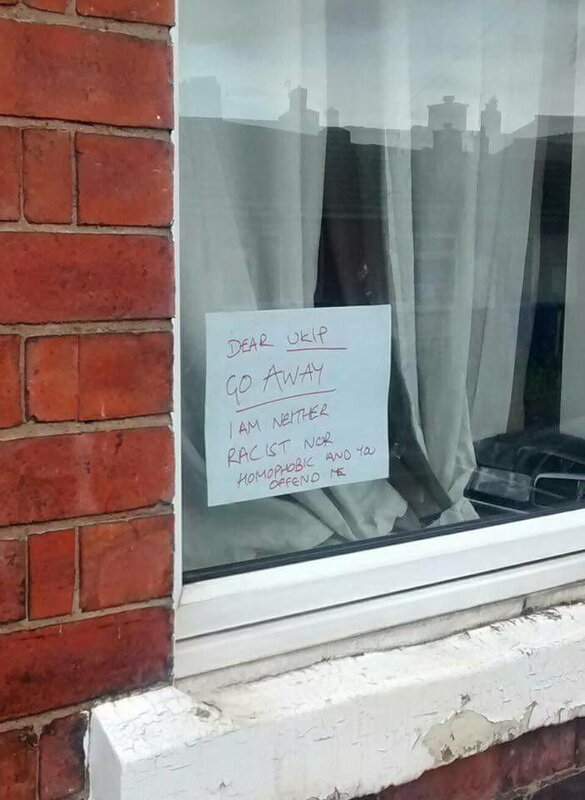 The notice above was spotted on a window in Stoke-on-Trent Central, according to a post on Twitter. 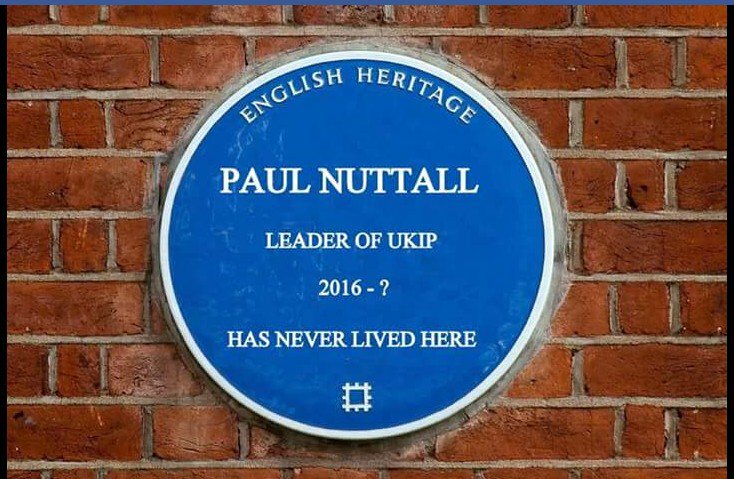 We can safely add it to the growing number of ‘quiet’ protests against UKIP leader Paul Nuttall’s campaign for the Parliamentary seat, which is to be contested in a by-election on February 23 after Labour incumbent Tristram Hunt quit to become part of a museum. Mr Hunt had been ‘parachuted’ into the constituency and was the least popular MP in Parliament – he had the lowest majority. Stoke Central therefore has an animosity towards candidates who have been ‘parachuted’ in – like Mr Nuttall, who hails from Bootle. The plaque by Women Against UKIP. If anybody sees any more such quiet protests, please send them in. What is the point of UKIP anymore, they got what they wanted, we’ve left the EU. why are they still here spewing their crap all over us!